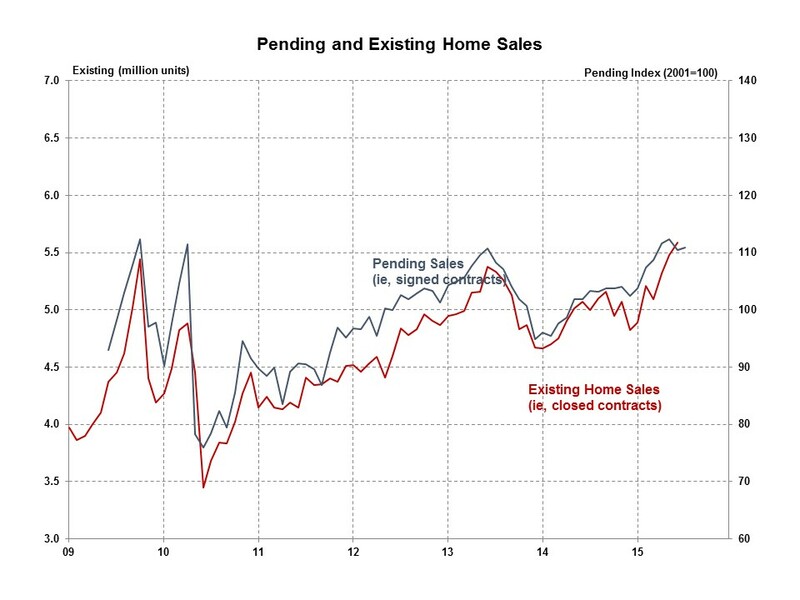 The Pending Home Sales Index increased in July for the sixth time in seven months. The Pending Home Sales Index (PHSI), a forward-looking indicator based on signed contracts reported by the National Association of Realtors (NAR), increased 0.5% in July from an upwardly revised June report, and is up 7.4% from the same month a year ago. Most of the July strength was in the Northeast which increased 4.0% in July. The South was up slightly while the Midwest remained unchanged and the West decreased 1.4% in July. Year-over-year, the PHSI was up 12.1% in the Northeast, 7.5% in the West, 6.5% in the South and 5.7% in the Midwest. The positive pending sales report follows a strong 5.4% increase in July new home sales reported two days ago, and the 2.0% increase in July existing sales reported last week. Following a week of wrenching equity market volatility, improved home sales, coupled with a strong GDP report today, suggests continued good news for the existing sales market and for builders in 2015.